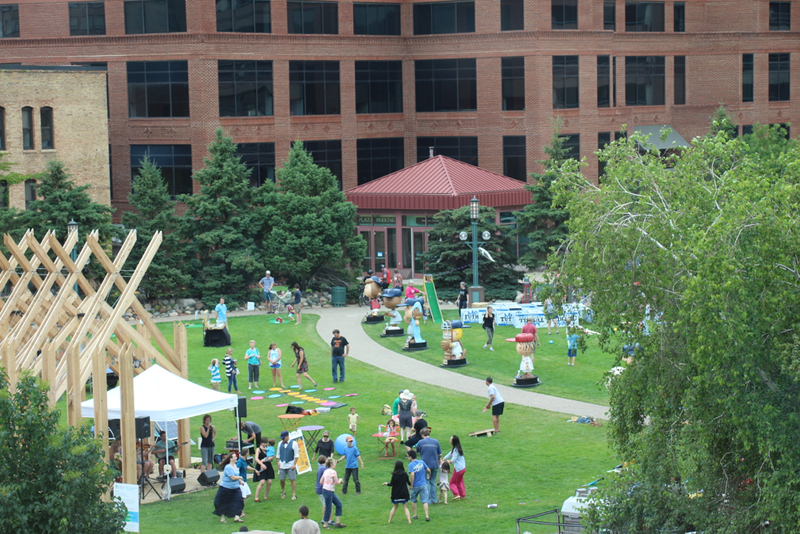 As part of the Creative City Challenge’s summer-long programming, there are three themed activity days: Play Day, July 19; Discovery Day, August 16; and Maker Day, September 13. For Play Day, over a dozen artists performed and presented projects at the Minneapolis Convention Center Plaza for more than 750 people throughout the course of the day. There are still a few spots open to present or perform at Discovery Day. Email creativecitychallenge@northern.lights.mn with your project and for more information. Artist stipends available.